Last week, the Faculty of Arts and Social Sciences (FASS) welcomed colleagues and friends from across the university to the Fireside Lounge in the Marion McCain Building to share in the celebration of their faculty members’ published research, scholarship, edited works and performances over the past year. 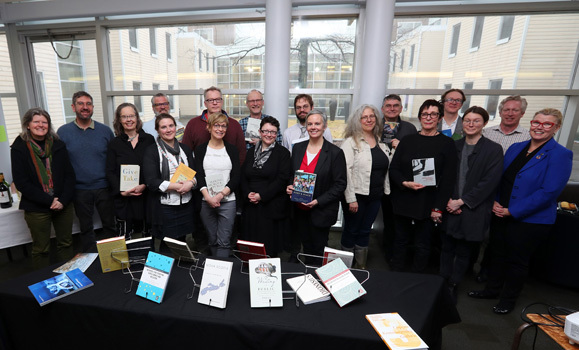 The 13th annual FASS Publication and Performance Launch featured works by more than 30 faculty members, including 72 books, edited volumes, peer reviewed articles, chapters and edited journal issues, along with four performances, three exhibitions, two stage designs and one database. And this was just the tip of the iceberg of what the faculty has been up to, reflecting only what was submitted for the event. This year’s exhibit — hosted by Frank Harvey, the faculty's dean, and Howard Ramos, FASS associate dean of research — featured a breadth of works covering immigration, indigenous research, religion, health, animal welfare, media, performing arts, languages, and gender, sexuality and race. “These contributions confirm, again, that our scholars, researchers and performers are working on topics, issues, themes, policies, principles, debates and cultural values that capture the human condition,” said Dr. Harvey in his remarks. 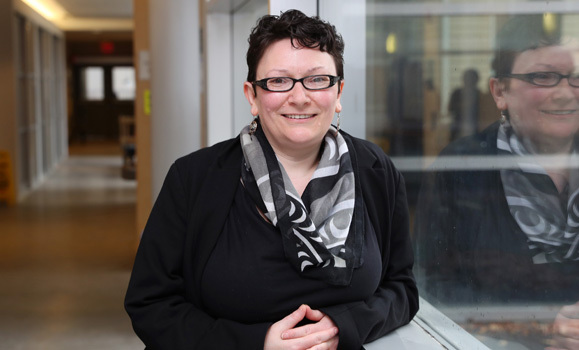 Margaret Robinson of the Department of Sociology and Social Anthropology and recently appointed as a Canada Research Chair in Gender and Reconciliation had several published journal articles featured covering topics on sexuality and indigenous representation. 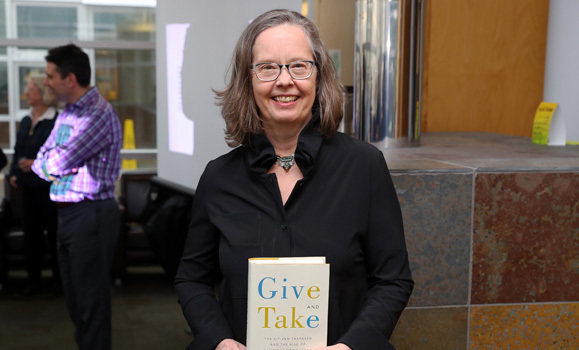 Shirley Tillotson’s book Give and Take – The Citizen Taxpayer and the Rise of Canadian Democracy was among the featured books on display. The retired Department of History faculty member's book was shortlisted for the Awards to Scholarly Publications Programs (ASPP) Book Prize in Humanities and Social Sciences from the Canadian Federation of Humanities and Social Sciences. 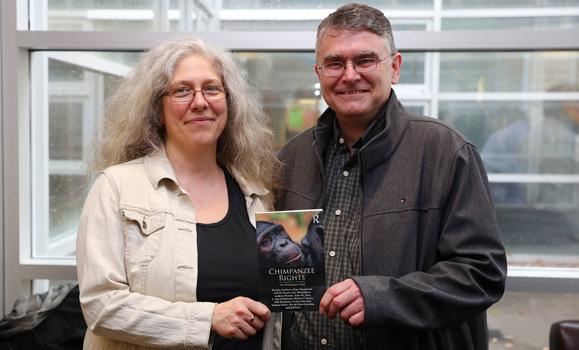 Letitia Meynell and Andrew Fenton, both faculty members in the Department of Philosophy (Meynell is also cross-appointed with the Gender and Women’s Studies Program), were co-authors, among others, on the book Chimpanzee Rights: The Philosophers’ Brief. Some of the faculty members whose stage performances were highlighted included Susan Stackhouse, professor of acting in the Fountain School of Performing Arts, who received The Legacy Award from Theatre Nova Scotia and performed the role of Nurse in Neptune’s main stage production of Shakespeare in Love this past fall. The play The Bridge, written by Shauntay Grant of the Department of English, premiered this past January at Neptune Theatre. Grant’s 2018 book, Africville was shortlisted for the Governor General’s Literary Awards – Canada’s oldest and most prestigious literary prize – administered by the Canada Council for the Arts.